Awards – Bulldog Bags, Inc. 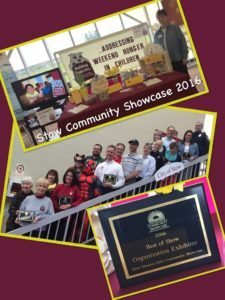 In April 2016, when it had been established for about 8 months, Bulldog Bags, Inc. had an information table at the Stow Community Showcase and was awarded Best of Show as an Exhibitor. 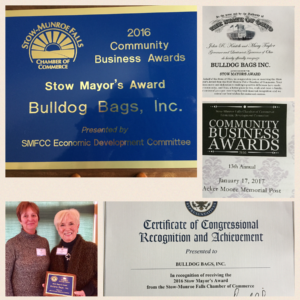 The Mayor’s Award from the Stow-Munroe Falls Chamber of Commerce was awarded to Bulldog Bags, Inc. on January 22, 2017 , because, as a new non-profit business, it had made a positive impact on the communities of Stow and Munroe Falls. 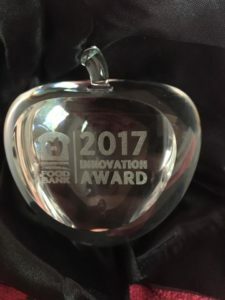 August 11, 2017, Bulldog Bags, Inc. was honored to receive an Innovation Award from the Akron-Canton Regional Food Bank, recognizing its outstanding achievement in collaborations with organizations in the greater Stow area to provide weekend bags of food for eligible children in the Stow-Munroe Falls City School District. These collaborations make Bulldog Bags, Inc. truly a community organization. $60 provides TWO Bulldog Bags each month for a child for the 2018 – 2019 school year.